I have been busy cutting high density foam into terrain shapes, with a new project for the show layout for Grunts. It is a dry river in 15mm scale, with a bridge crossing and various other crossing locations on the dried up river bed. A couple of the photos were taken last night, so apologies for the yellow tinge. The base boards are MDF (Medium Density Fibreboard) and 6ft x 2ft each and I have two layers of foam to make a dramatic central ravine for the 15mm SCI-FI scenery. 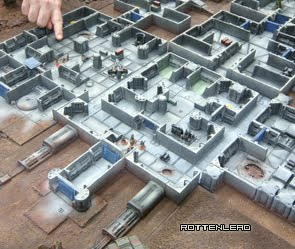 The complete terrain layout being 6x4. I do have two additional extension boards which I might use to create a dam which was the fictional cause for the dried river bed. 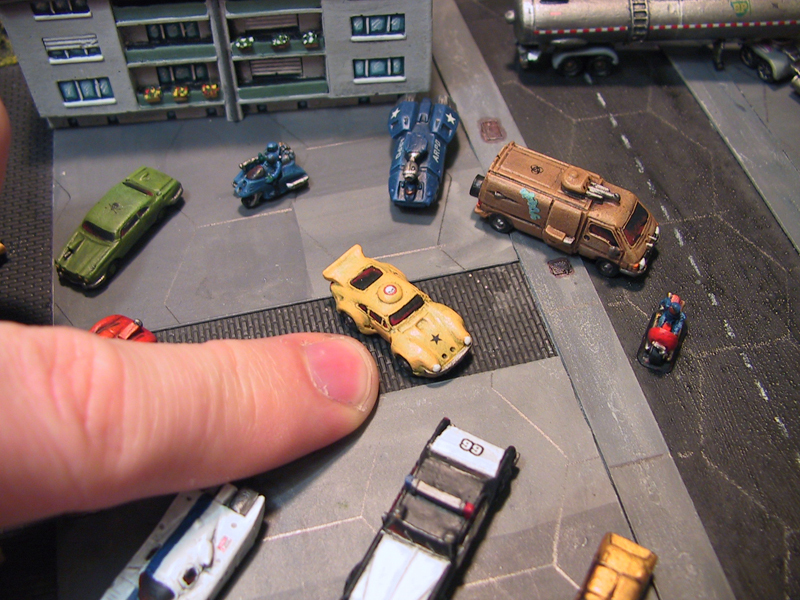 I will be using various road and built up areas on the board to make it a semi-urban industrial zone. I wanted the river feature but I did not want to totally divide the board, so the dried up river bed gives me some options for further interesting "gaming locations"with the bridge being a key focus area. I really don't think I will have it finished by SELWG next week, I am going to give it a shot but being realistic with the time I have it looks like it will be ready for Warfare in Reading and Salute next year. On the first picture, to the left of the bridge, there are some wharfs ? Yeah, they look like some Old Crow wharfs. I can't wait to watch this project come together.